Yuneec Mantis Q Review. It’s One Big Flaw. 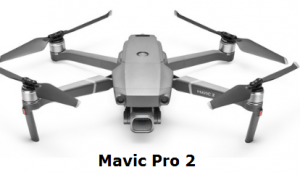 Drones are getting more and more portable and this newest one from Yuneec (The Mantis Q) is in direct competition with other ones in it’s field such as the Mavic Air and DJI Spark. This review is going to explain the benefits this one holds over them and if it’s worth buying. It’s voice activated, meaning you can have it lift off, take photos and other features via your voice. It boasts a 33 minute flight time. It shoots in 4K at 30 FPS. It’s extremely portable and is about the size of the Spark (palm). 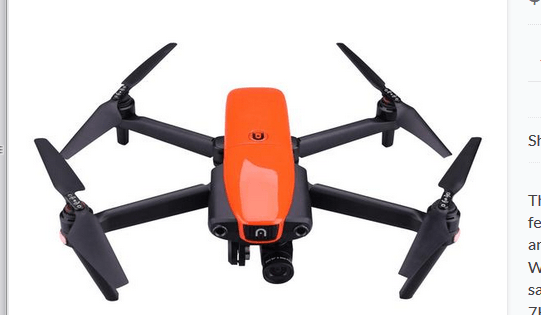 It has several intelligent flight features. It’s priced at $499 (U.S). Are all of these things true? For the most part, yes, this drone does indeed meet the specs and other things I mentioned above. So what is the flaw with this drone? The 4K footage, there’s a catch. Because this drone is on a 2 axis gimbal, for some strange reason (and this is ultimately why I don’t recommend this drone), once you try to film in 4K at 30 FPS, the gimbal basically stops it’s image stabilization, meaning when you try to film in 4K, you’re going to see the camera swerve and be all out of control and distortion. Good luck capturing stable video this way. Doing so would absolutely justify buying this drone and I would have given it another 15 points extra for the final rating I’m going to give it. But if you want to film in steady footage, you’re stuck on 1080p basically. This isn’t a big deal, as most people can’t even tell the difference, but 4K filming is a big selling point for many people considering getting a drone. I know I personally value that which is why every drone I own, with the exception of the Spark has it. But then if you can only really film good videos in 1080p, and there’s no sensors for protecting the drone (yes this is another flaw), why would anyone want to pay $500+ US dollars for this? Perhaps for $300, it would be a good deal, but for $500, I’d much rather you get these alternative drones (3 options coming up). One of the biggest drone authorities in my book is this gentleman (Captain Drone). I feel he does some of the most in-depth videos and if you like drones, sign up to his YouTube channel here. A lot of what I gathered in this review has been thanks to him and I personally make a lot of my drone decisions based on his videos. In fact in his review of the Yuneec Mantis Q, if you read the comments, most of them also say that they like this drone, but that price, for what you get and the limits of that drone aren’t worth the cost. I completely agree. Moving back to the review. Yuneec Mantis Q: 50 points out of 100. $500 just isn’t worth it. This drone had potential, but the lack of sensors and screwy 4K filming capabilities really drove it lower. I would have loved to give this drone a 70 out of 100, but the lack of important features such as the ones mentioned really took it down. 1) Spark. It has 2-3 times LESS battery, but at least it shoots in 1080p as well and has safety, as well as fun features. Learn more. The Spark was the third drone I purchased, and I got it with the fly more kit, in which I was given a bunch of other stuff including extra batteries. While the battery life is short, because you can get this drone for a few $100 less, I’d go with that if you’re more tighter financially. 2) Mavic Air. If you’re going to spend $500, invest $200 more and get a Mavic Air, this one shoots in TRUE 4K, 30 FPS and has about half the time of flight that the Yuneec Manis Q does. Learn more. Frankly, I love this drone, it was the 4th one I got (after the Spark). This one in size is almost equal to the Yuneec Mantis Q, and for all intensive purposes, it shoots better at 4K, because it’s actually image stabilized. Add to it that it also has 3 sensors, and it’s a great buy in my opinion. 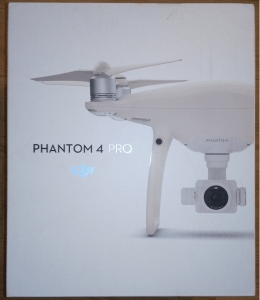 3) Phantom 3 Standard. You can get one for about $500 too, and while it’s certainly not portable, it films in 4K too and is very sturdy, with detection. I haven’t done a review of this drone yet, but even though it’s a few years old, there’s still plenty of people who speak VERY highly of this model. Basically these 3 options will offer you a safer flight, as well as a great camera, that is actually stabilized on a good gimbal.